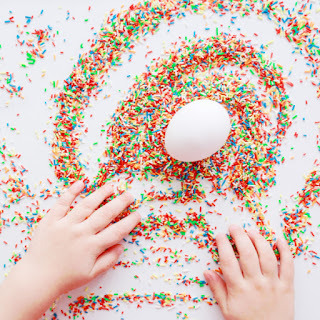 We love trying new and fun ways to decorate Easter eggs! 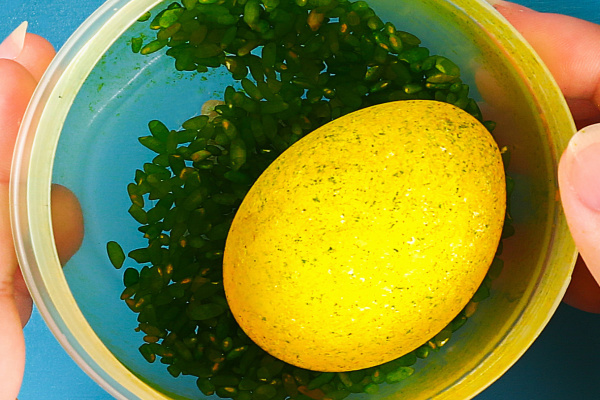 Today, we tried using rice to dye our eggs, and the results turned out SO COOL! 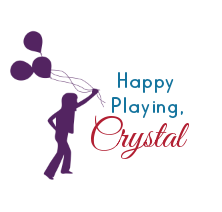 Read on to see how you can easily set this activity up at home. 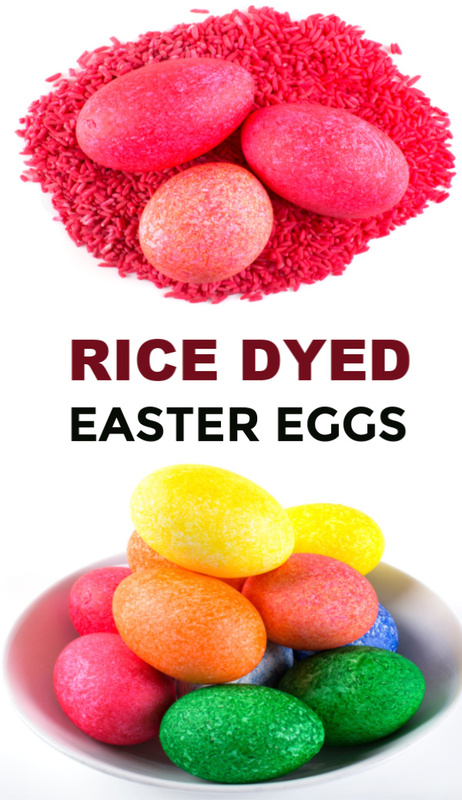 All you need for this egg decorating idea is rice and food coloring. 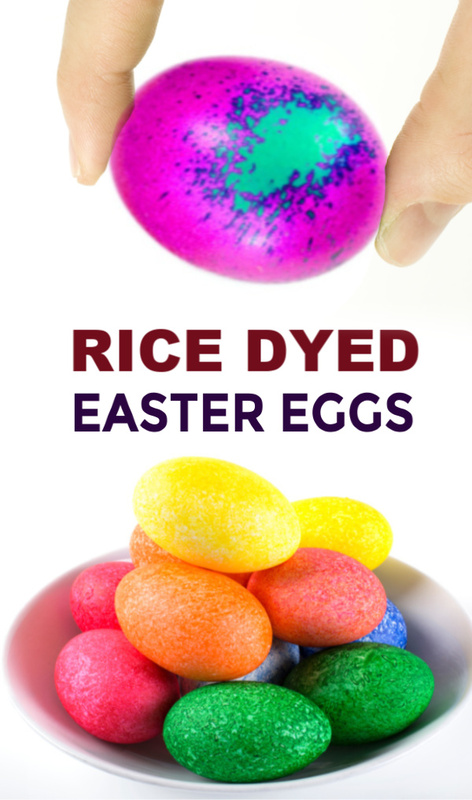 The rice creates a spot-like effect in the dye as it colors the eggs, which my kids thought was really cool! 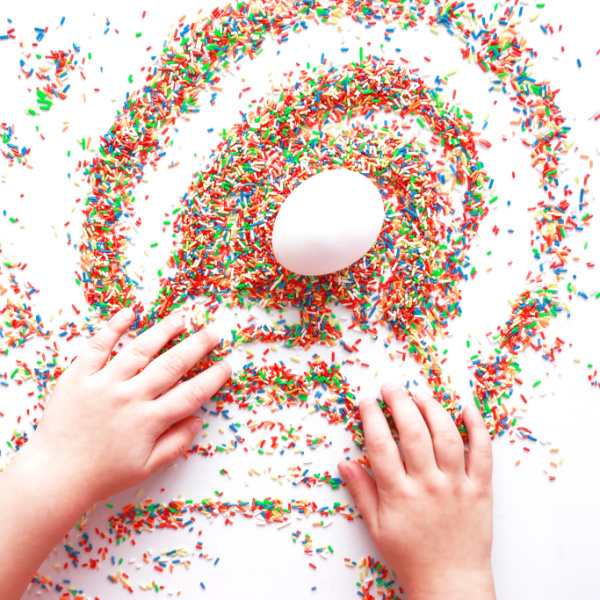 They also loved shaking the eggs and rice, giggling as fun sounds were produced. 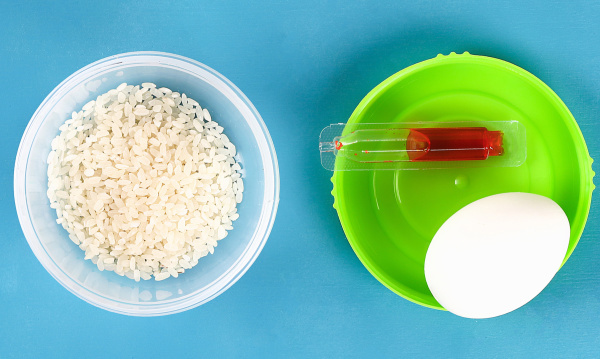 Begin by placing a bit of rice into a small container that has a lid. We used food storage containers, and those worked great! 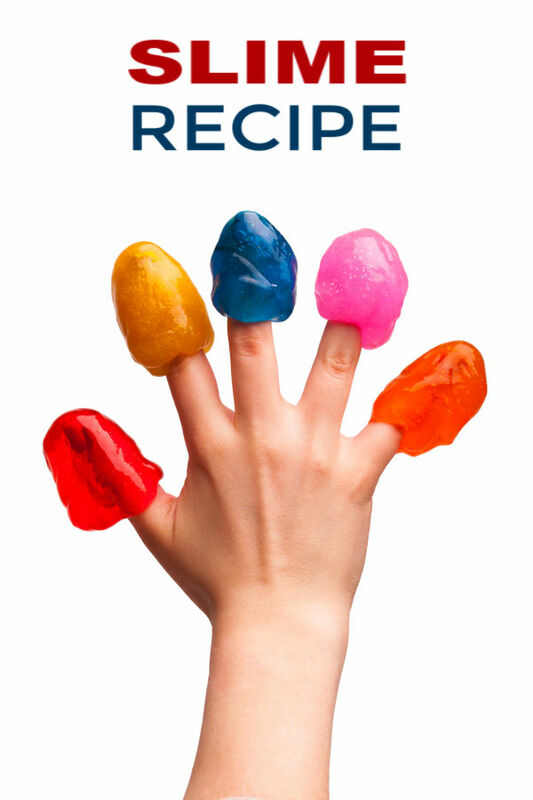 Add 15-20 drops of food coloring to the container. 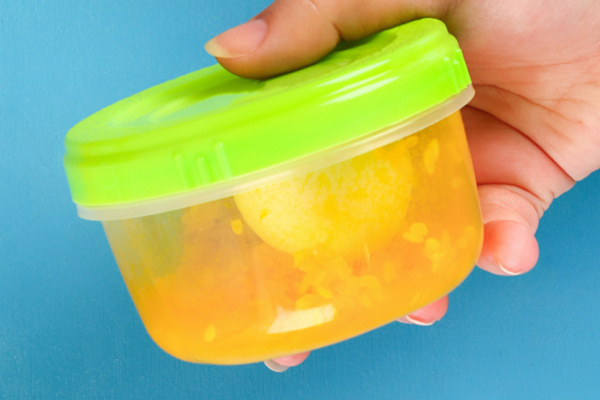 Carefully place a cool, hard-boiled egg into the container, and then seal it tightly. 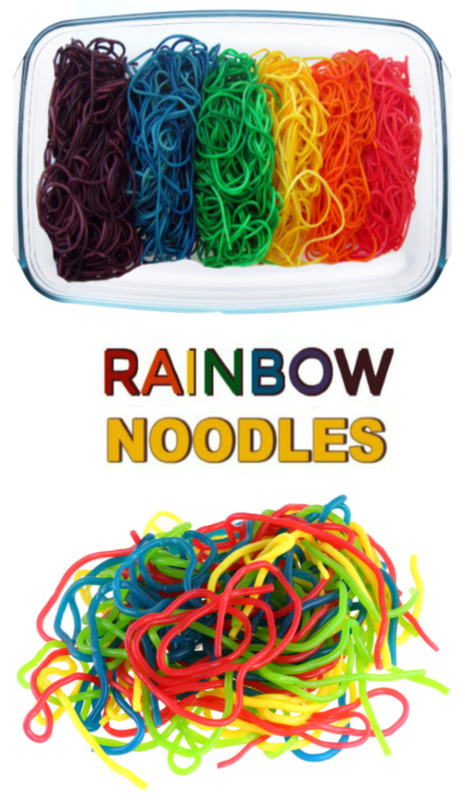 Now, have kids shake the containers. 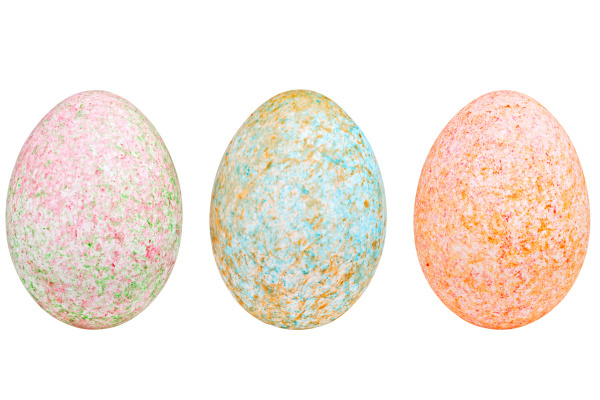 Shake and shake some more until happy with the dyed effect of your egg. 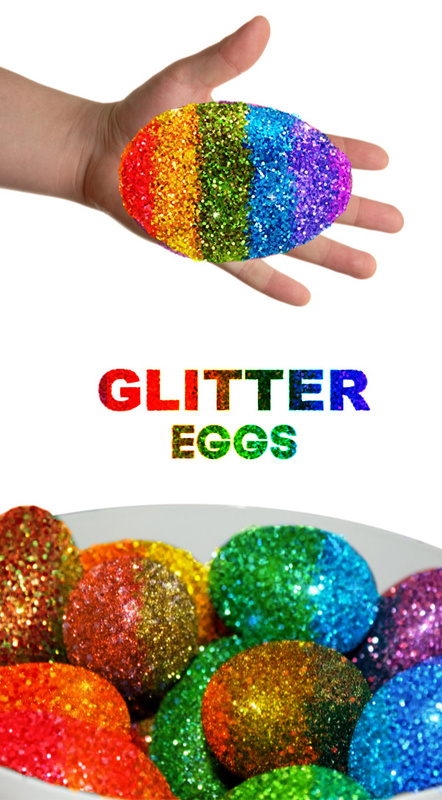 Repeat this process until all of the eggs have been decorated. 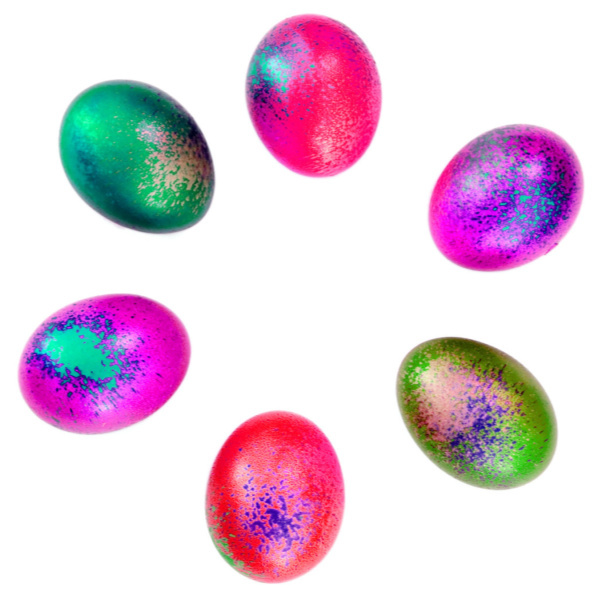 Allow 4-6 hours for the eggs to fully dry. 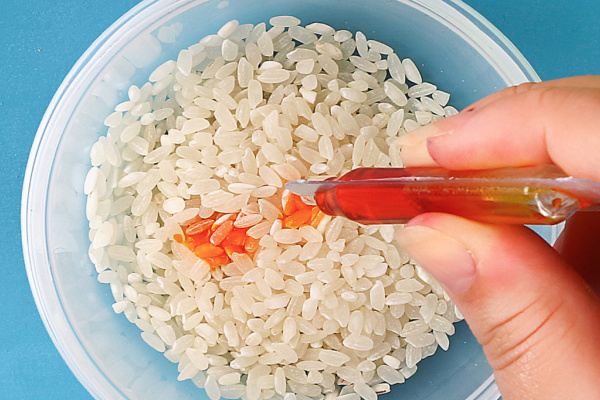 Try this activity using rainbow rice. 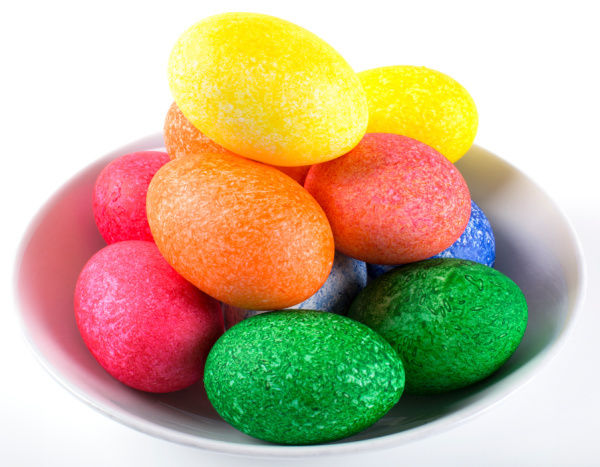 Try adding more than one food dye color to the containers to make multi-colored eggs. 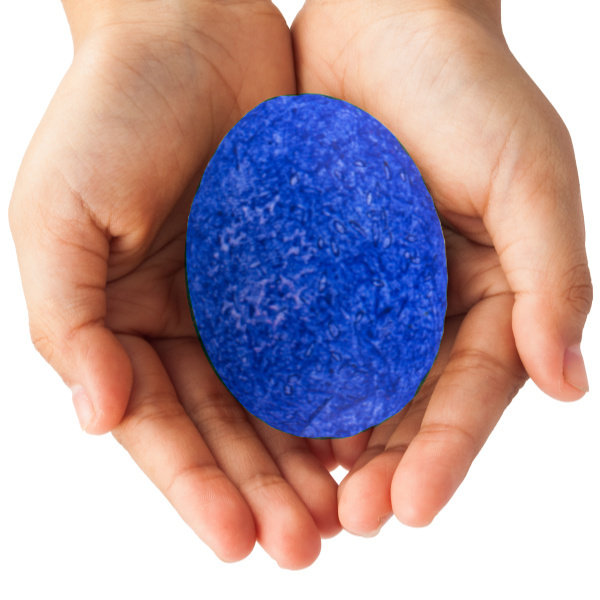 Turn this into a lesson in color theory by using two dye colors that come together to make a new color. 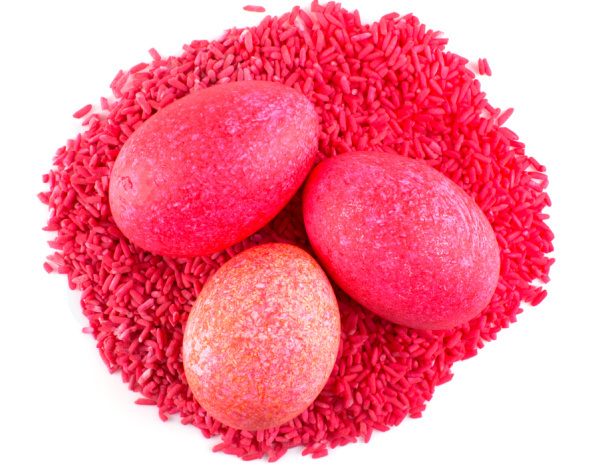 Dye your eggs using food coloring. 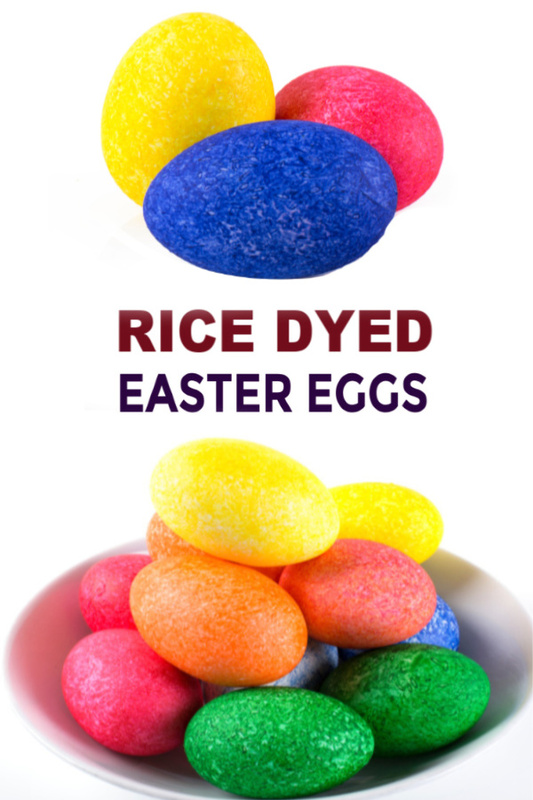 Then, decorate them using rice and a new dye color!